Already having my own domain and website, as well as nearly all of the requisite social media accounts, completing Week 1 of DS106 – Camp Magic Macguffin was a pretty easy thing to start. The bulk of the first week is all about situating oneself to the Web 2.0 environment in preparation for an exploration of both digital storytelling but also the new media reality in which most of us find ourselves. Despite all of this, I am already running a little behind the pace, but I didn’t really start in earnest until Thursday, May 24. So I won’t be too hard on myself. I learned about DS106 during its initial open run. 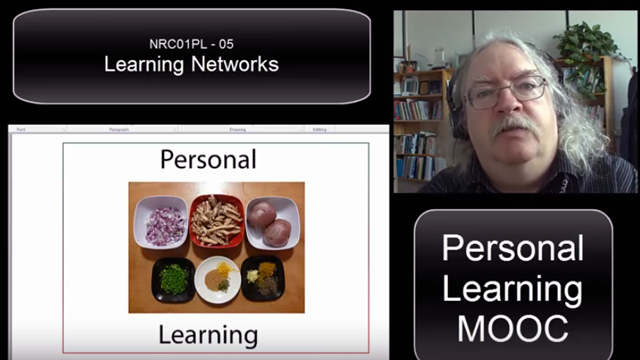 In fact, the last few years I have become endlessly fascinated by Massively Open Online Courses (MOOCs) in general. I have been following the work of some of the pioneers like Alec Couros, George Siemens, Stephen Downes, and Dave Cormier for years. In fact, I am almost positive I discovered the original iteration DS106 through Stephen Downes’ Online Learning Daily. The main reason why I teach is because I am a confessed learning junkie. I have become a bit of a MOOC junkie too, tracking many different ones, participating in some, floundering often, and slowly but surely getting a stronger sense of how better to self-direct and manage my own path through one. They are definitely not for the faint of heart. Then again maybe they are. For me, the problem is always the surplus. I desperately want to drink from the firehouse, all the while knowing that is not really a viable possibility. Still, it hasn’t stopped me from trying. With each dive into the stream, however, I have taken a little something from the experience that has helped me the next time. Another problem has always been the fact that I am perpetually enrolled in at least one professional development course for the credit chase needed to advance my salary where I work. Regardless, I have been getting much better in how I partake in the grand online educational smorgasbord, in spite of the additional course and work loads. Truth is I love the idea MOOCs and have grown to be even stronger fans of the people that are building them. So I finally felt it time to jump into the DS106 mix when Magic Camp Macguffin was ready to launch its maiden voyage. Plus, I am working to construct an online digital storytelling course of my own designed for high school students specifically, inspired by the likes of Jim Groom, Alan Levine, and the rest. Thus, there was never a better time for me to start playing too. This entry was posted in Digital Storytelling and tagged Alan Levine, Alec Couros, Camp Magic Macguffin, Dave Cormier, Digital Storytelling, DS106, DS106 - Week 1, George Siemens, Jim Groom, Massively Open Online Courses, MOOCs, Stephen Downs on May 28, 2012 by Fred Haas - @akh003.